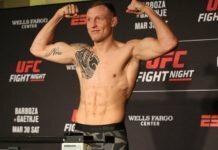 Jack Hermansson spoiled hometown hero Gerald Meerschaert’s night at UFC Milwaukee, as he pulled off the first round submission win. 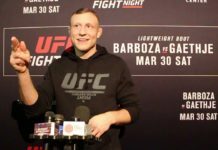 If every fight has a story, than the middleweight contest at UFC Milwaukee between Jack Hermansson and Gerald Meerschaert’s was simple: Hermansson was looking to prove a May win against now-retired top-ranked middleweight Thales Leites was no fluke. 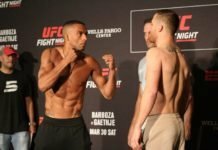 Losing only to Thiago Santos, now crushing opponents at light heavyweight, since 2016, he had the opportunity to make it four wins in his last five on Saturday night at the Fiserv Forum. Meerschaert, meanwhile, was looking to extend his own win streak to three. A local, he had the crowd firmly behind him. As the pair got underway, Hermansson wasted no time taking the fight to the canvas. He came close to settling into mount, but Meerschaert stayed active and got him back into guard. 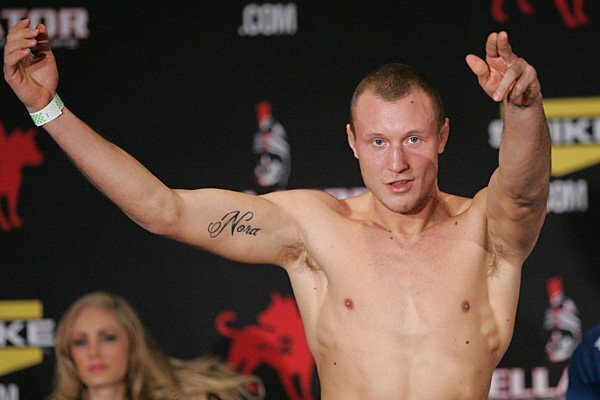 Hermansson then threatened with a front choke, but Meerschaert exploded to his feet — only to be taken right back down. The Milwaukee-based fighter then gave up his back, and Hermansson began launching bombs that were slipping through Meerschaert’s defenses. Meerschaert was being flattened out, and soon had his left arm trapped as well. Hermansson, however, lost the wrist control battle. Still, he stayed in control until Meerschaert finally reversed position. However the decision to attack with a guillotine put him back on the bottom moments later. Thus it was no surprise when the finish came. Hermansson, who had softened Meerschaert up, locked in an arm-in guillotine moments later, putting an end to the affair just before the end of the round.